Gordon Inman is the Broker & Owner of Keller Williams L.A. Harbor. 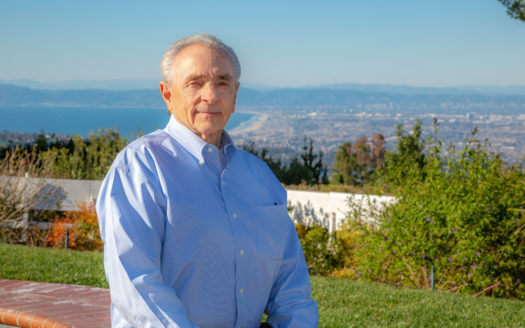 He has been an expert Realtor in the South Bay area for 44 years. He obtained his Real Estate license in 1974 and was born and raised in San Pedro. Gordon and his wife, Nancy moved to Rolling Hills in 1987 where they lived on Williamsburg Lane and now currently on Caballeros Road. He has become an expert in the Rolling Hills area and has served on the Rolling Hills Architectural Committee for 20+ years. His vast knowledge of Rolling Hills is often called upon by sellers and buyers and has made him one of the top agents in the area. Gordon’s roots begin in San Pedro where he grew up in the projects, barely completing high school he began working at an early age to take care of his family who lived during struggling times. Gordon began working as a bread salesman at Di Carlo Bakery where one of his associates from the bakery opened All-American Realty. He worked there in 1974 and by 1976 opened his own company; Landmark Realty. Landmark Realty thrived as the number #1 office in the Southbay until its transition into now Keller Williams Realty LA Harbor where it remains the #1 office in the market. The Inman Team has achieved platinum awards from Keller Williams International and was recognized as the #1 highest producing Team in the Keller Williams Coastal Region. When Gordon is not doing Real Estate he is occupied with his 10 (& growing) grandchildren and great-grandchildren. He also enjoys gardening and is a self-proclaimed homebody, where he enjoys spending time with his family.